At HORSEACCORD we believe the horse offers valuable information about ourselves that we can apply to everyday situations in life. EAL focuses on education and learning specific skills as defined by the individual or group. 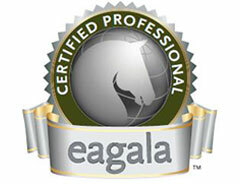 EAL is a highly interactive and experiential learning approach utilising ground-based activities with horses. There are endless ways to apply EAL ranging from teambuilding for organisations, leadership skills for a school or youth group, or communication skills for couples or families. 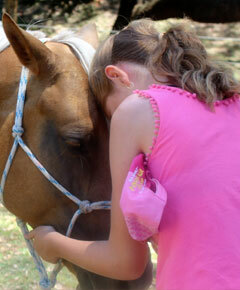 Sessions are set in the beautiful outdoors and conducted by a team consisting of a certified mental health professional and horse specialist, and horses. Discover yourself through our professional counselling and therapeutic programs. EAP is a brief solution-focussed therapy utilising ground-based activities with horses and is suitable for individuals, groups, couples, and families. Offering an alternative to traditional “talk therapy” EAP has proven to be effective for all ages and a wide range of issues. Sessions are set in the beautiful outdoors and conducted by a therapy team consisting of a licensed mental health professional and horse specialist, and horses. Darryl and Candesa and their herd of horses reside on a tranquil 97 acre property bordered by the picturesque Cedar Creek and National Park in the scenic rim of Mount Tamborine just south of Brisbane, Australia. Easy access just 17 minutes off the M1 at Yatala North Exit 38. The property offers a welcoming environment inviting you into the tranquillity of nature. Read more about HorseAccord. 100% customer satisfaction Is our First Priority. Below are some of the testimonials we have received from our clients.